Member Focus invites ASCA members to express their views on key ASC issues. 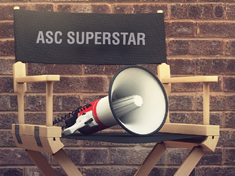 Share your perspective with your colleagues and get to know your peers in the ASC community. Yes, we do for pain injections. Our team that is providing care for the injection procedures does the procedure setup and "circulating" duties. We have one RN who is assigned to the conscious sedation. In addition, our radiological technician also assists in the procedure setup and medication setup with the room RN.